The AVOD platform announced that it would release 30 originals across genres and languages in the next 12 months. 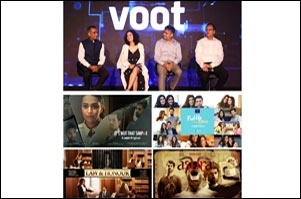 Viacom18's digital video-on-demand streaming service, AVOD (Advertising video-on-demand) OTT platform - VOOT -celebrated its third anniversary with a bundle of announcements. Among the announcements made was that the platform, in the last three years, managed to fetch 100+ billion minutes of watch-time which, according to the network's assessment, makes VOOT the second largest OTT platform in India. VOOT now aims to reach 100 million monthly active users by March 31, 2020. Currently, the streaming platform has around 50-55 million monthly active users. As part of its future growth strategy, the platform also announced the further scaling of its current content library. VOOT plans to launch over 30+ originals across genres and languages in the next 12 months. 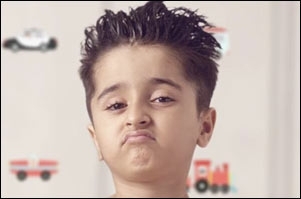 ALSO READ: Is 'web series' the new hot medium for brands to chase the youth? "India will have an online consumer base of more than 500 million by 2022. Of this, more than 3/4th will be consuming video content. While technological advancements allow us to personalise content consumption, growth for the category will come from our ability to segment our offerings to multiple consumer segments. This will be accelerated by the three A's - Accessibility, Availability and Affordability", says Sudhanshu Vats, Group CEO and MD, Viacom18. Currently driven by an advertising-supported video-on-demand model, VOOT plans to build scale by diversifying from one business model of AVOD to four. "We are segmenting the VOOT business into four uniquely focussed propositions - the existing AVOD model and the upcoming freemium offering, VOOT Kids and VOOT International," explains Vats. VOOT announced the launch of VOOT Studios - a business performance-oriented content tech solution for advertisers looking to connect with digital audiences. The options will include branded shows, sponsorships and interactive formats, in addition to other bespoke solutions. Speaking about the branded content play for VOOT - Akash Banerji, head - AVOD Business, VOOT, says, "Brands today realise that a regular ad spot, while important, is not sufficient to drive resonance with the consumer. Branded content solutioning is, hence, the way forward given that it allows for bespoke content curation and subtle communication embedded into the narrative of the show. VOOT Studios will allow brands to bring the world of story-telling, data and tech all together to deliver the brand message and the ROI effectively for the business."